Thomas C. Newhouse received the 2018 Lifetime Achievement in Advocacy Award from the Blakely Advocacy Institute. Tom, Professor of Law, Emeritus, taught at the University of Houston Law Center starting in 1966. 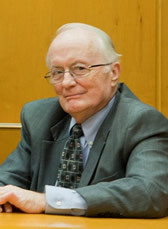 While at UHLC, Tom specialized in mediation, alternative dispute resolution, and clinical practice. He was the Director of the A. A. White Dispute Resolution Center from 1992-1997. Learn more about BAI staff and adjunct faculty. Find out more about UHLC's award-winning interscholastic competition teams. 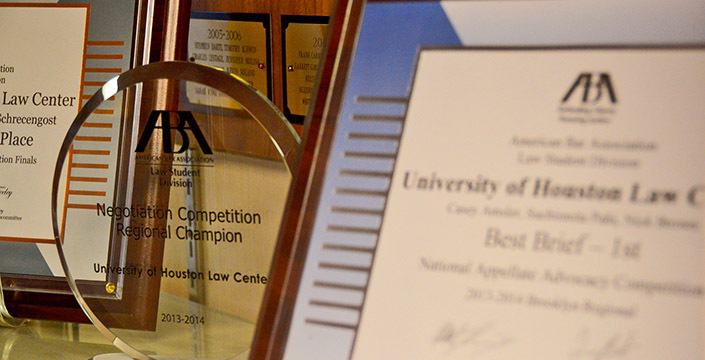 UHLC has been winning regional, national and international competitions for decades. 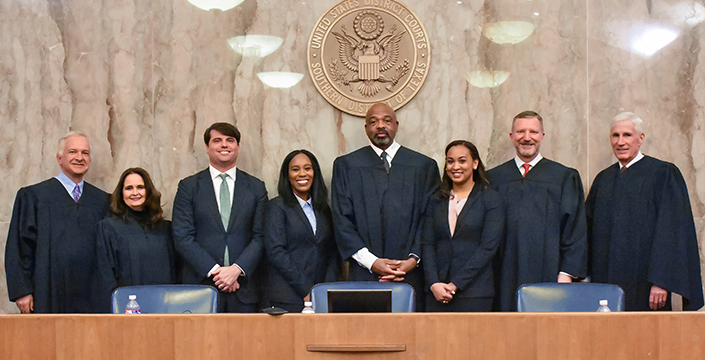 A national legal honor society recognizing top student advocates. 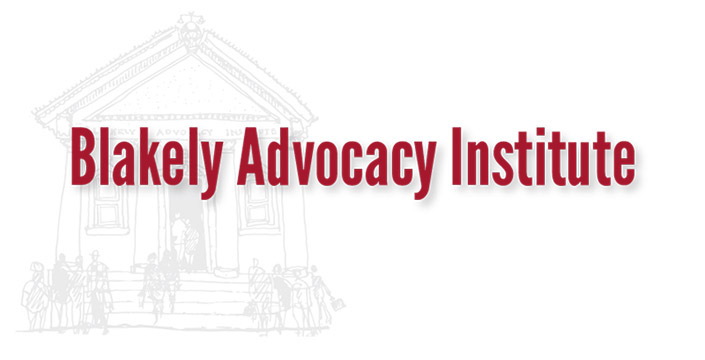 Check out our new Blakely Advocacy Institute brochure!